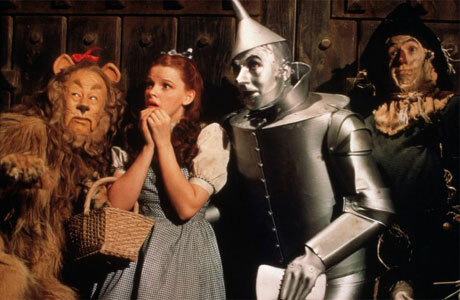 Say it isn’t so: Wizard of OZ remake by Warner Bros! Deadline New York reports that Warner Bros. Pictures is planning to redo a true cinematic classic of their own. Namely The Wizard of the Oz. Not to be confused with Disney’s upcoming prequel to the L. Frank Baum story, Oz, the Great and Powerful, Mike Fleming reports that Warner Bros. desires a more direct remake with hopes that Robert Zemeckis will come on board to helm. Possibly hoping not to ruffle too many feathers in the process, the studio reportedly wants to utilize the original’s 1939 script treatment. There’s also some question as to timing here with Zemeckis already hard at work with the Yellow Submarine remake along with recent news that he’s returning to live-action with Timeless. Add into the mix his numerous confirmations of a Roger Rabbit 2 adventure in the works and you have to wonder whether he would even have the time to step into this project or whether Warner Bros. would wait for him when Disney is fast-tracking that prequel. Sounds like a wish… I certainly hope that they don’t tread on this ground! This American classic should nould not be tainted by the money hounds. Would the remake sync up to Dark Side?